People are creatures of habit. When we work all day in the same space, what it looks like often fades into the background. Most business owners who have a dirty or messy workplace often don’t even realize it. But you can be sure that their clients or customers will. 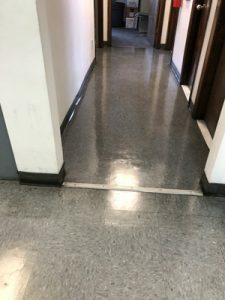 Imagine walking into a professional office or retail store and seeing overflowing garbage bins, unswept floors, or dirt-stained work surfaces. It could be enough to make you around and walk right out the door. Yet because the people who work there are accustomed to their environment, they may not even see the mess that is turning prospective customers away. What these businesses need is a fresh set of eyes. Many business owners are so caught up in the day to day pressures of running their business that they are blind to the little details that can be sabotaging their reputation and hurting their future growth. A fresh perspective from somebody on the outside can instantly provide clarity to the cleanliness of a business. External observers who aren’t invested in daily operations can objectively identify problem areas in a workplace. Then they can put together a plan to improve them so that businesses are neater, more orderly, and more attractive to new clients and customers. The cleaning professionals at All Bright Janitorial Services can provide the perspective your business needs to look its best. Our cleaning consultants can assess your business and instantly identify areas for improvement. Then our experienced, knowledgeable cleaning experts can get to work making your business cleaner, more efficient, and more prosperous. Even if you already have a cleaning company, All Bright Janitorial Services has the fresh set of eyes that will make your business better. So stop losing business because you can’t see the mess right in front of you. Let All Bright Janitorial Services help make your business cleaner, brighter, and more profitable.